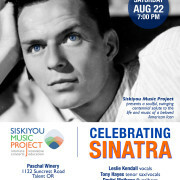 Siskiyou Music Project welcomes back two of Western Canada’s finest jazz musicians, Jennifer Scott & Rene Worst. They will be joined by guitarist Ed Dunsavage for this performance. 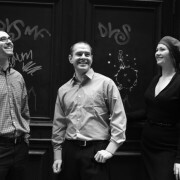 Siskiyou Music Project welcomes The Housewarming Project, a jazz trio that moves with the grace of a chamber ensemble and sings with the soul of the singer-songwriter movement to the Old Siskiyou Barn on Saturday, June 6 at 7 p.m. for our first show of the summer concert series. The group is led by award-winning pianist Jeremy Siskind, who – armed with a Master’s in English Literature from Columbia University – began writing music and lyrics inspired by poets like Jorge Luis Borges, Seamus Heaney, and Derek Walcott. His first collection of songs, which deal with love and loss, horror and heartbreak, are movingly delivered by vocalist Nancy Harms and colored by woodwind master Lucas Pino on the 2012 release, Finger-Songwriter (BJUR). Finger-Songwriter was hailed in ecstatic terms as “one of the most remarkable recordings I’ve heard in a very long time” (MinnPost), “One of the best albums I’ve heard all year” (emusic.com), “the most exciting musical project I’ve heard in a long time” (Jazz Police), and “winsome…literate and spry” (The New York Times). Emusic.com placed it in its top 100 albums of the year (of any genre), and independent blog birdistheworm.com named the CD the fifth best jazz disc of 2012. 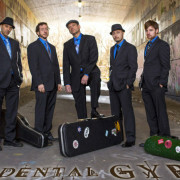 With Siskind in the lead, the band started touring in 2012, primarily performing in-home concerts. From the summer of 2012 to 2014, the band played nearly 70 in-home concerts in 18 states, making new friends and converting unsuspecting audiences into jazz fans. 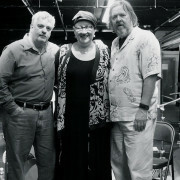 The music is ideal for in-home sharing – as Harms ushers a listener into the world of a piece with her innate story-telling abilities, Pino colors the music with whispering tenor work, mournful clarinet, and murmuring bass clarinet, and Siskind sonically rounds out the music with sparkling, Debussian harmony. By 2013, Siskind’s songs caught the attention of some great jazz singers and vocalists Kendra Shank, Peter Eldridge, and Kurt Elling joined the original group in the studio to record Housewarming, an album that features nine new Siskind songs as well as four covers. Themes of domesticity reverberate throughout the album, which reflects on what it means to have a place where you belong. Housewarming will be released February 24th on Brooklyn Jazz Underground Records.